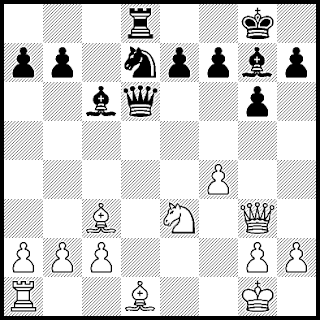 The Sicilian Defence 2...Nf6 line leads to original positions. Surprise tactics turn in any direction to trick masters. White responded 3.Nc3 giving Black opportunity to return to popular lines with 3...d6 4.d4. Instead, Black countered with 3...d5. International Master G.A. Stany of India found a sudden tactic against Grandmaster Nils Grandelius of Sweden. Black's Dragon like bishop fianchetto left a natural vulnerability to a pawn push such as f4-f5, but the pawn is not the only piece to attack the f5 square.